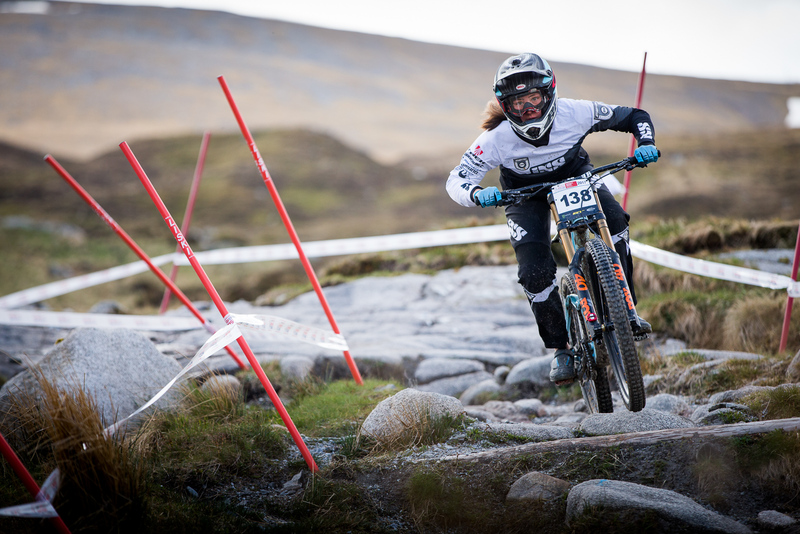 This weekend at Fort William proved a real mixed bag for the team with big crashes for Gee, Kade and Luke but also some strong results – a win for Mille, a 3rd place for Luke and a 6th for Graeme Mudd. The weekend’s course is 90% identical to the World Cup track but there are some changes in the woods section, and the big road gap is kept exclusively for the World Cup. Dry weather leading up to practice left the track extremely loose so the riders welcomed the overnight rain to help the track settle. Gee seeded first in the Men’s Elite proving that he is firmly back on the pace this season but tragedy swiftly followed as he crashed out in his Finals run with a massive OTB at the top of the course. As we write this report Gee is in the hospital awaiting X-ray results. Kade also seeded strongly, in second place for the Junior Men but went down hard in his Finals run when he clipped a pedal and went over the bars. He’s “a bit concussed” but he’s going to be fine. 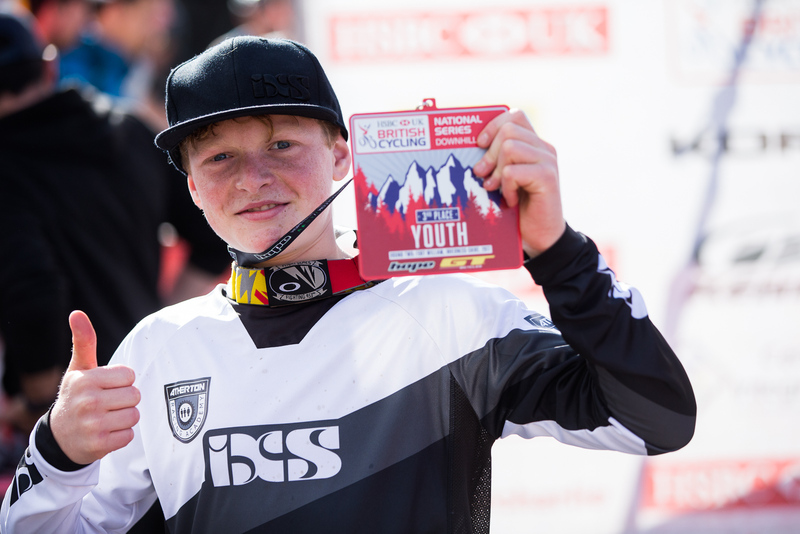 And in the end it was a good weekend for our youngest Atherton Academy rider Luke Williamson who also crashed hard in practice. He grazed his side and hurt his wrist but he showed the kind of guts that make him a great fit for the team, strapping his wrist and seeding 3rd on Sunday morning. 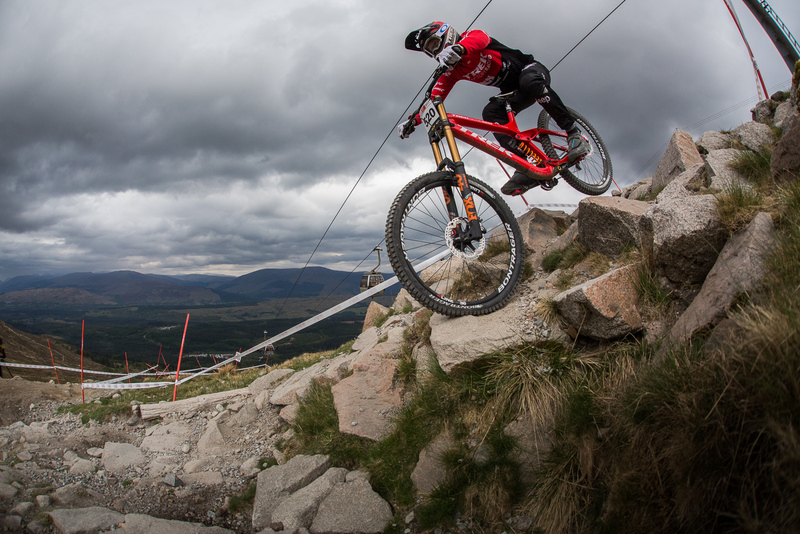 A good race run saw him 3rd in Finals for Youth at his first Fort William race. Muddy’s previous best result here was in 2016 as a privateer when he finished 24th in the BDS so he was pleased to seed 4th in 4.43. 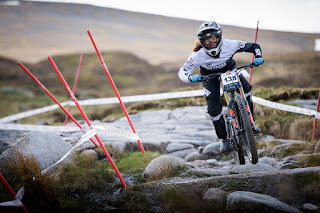 He said “ It has been mega dry and slippery for practise, it always catches you out when you come to Fort William, you never remember how fast and rough it is! I’m glad it rained, it’s good to experience both wet and dry before the World Cup! Come Finals he went a full five seconds faster (4.38) enough for 6th place and to feel stoked with the progress that he and mechanic Sam had made between them.